Hearthstone Joins The Lunar New Year Celebration - WebGamer.NET | The Website for Gamer. A time to gather round and play some cards. 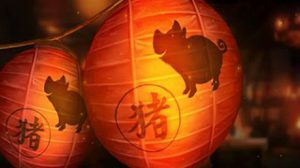 2019 marks the first year that Hearthstone is celebrating Lunar New Year with its’ fans, starting with special giveaways on the first week and a rewarding in-game event on the second week.